Is certification really necessary? Doesn’t experience alone qualify us? I understand the quandary, and it’s a question I am often asked as more rigor and more certifications/accreditations enter into the change management discipline. Let’s explore the question—because the bottom line is that there are some definite advantages to receiving change management certification. First, we can turn to the data. Participants in the Best Practices in Change Management – 2018 Edition were asked if they had attended a change management certification program, and more importantly, whether they would recommend that others become certified in change management. Gain a structured approach: Certification provides a clear, formalized methodology and process for doing change management. It also provides a structured way of thinking and deepens your understanding of the dynamics of change. "A structured approach around change management has been one of the best decisions we have taken. Approaching all countries in our division in the same way and having the same language has proven to be a strong asset for increasing awareness around change management but also for creating trust and loyalty between our team and the business." Build skills and credentials: Certification increases professional credibility and is an important step for advancing your career. 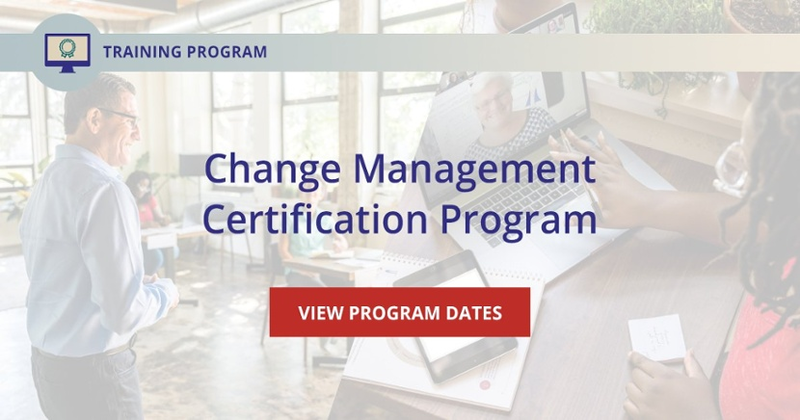 Certification also builds confidence in your ability to succeed at change management, and it equips you with a variety of important skills that are applicable within and outside of change management settings. Acquire common and universal tools: Certification provides tools, templates, techniques and exposure to methodologies, common practices, language and frameworks that you can immediately apply to change projects—all delivered by experts in the field. More likely to achieve desired outcomes: Participants felt that by attending certification, they were more able to help their organizations recognize the value of change management and assist them in creating a standardized approach to managing change that increased proficiency and the likelihood of achieving desired outcomes. "Change management creates a competitive advantage for our customers, and it achieves business outcomes and ROI at a greater rate than we would have otherwise seen. It made sense to move to a globally recognized methodology." Increase training for additional groups: Provide more training to key stakeholders and include additional audiences in training efforts, such as project sponsors, project managers, employee supervisors, mid-level managers, senior-level managers and relevant executives. Deliver training differently: In more personable settings, use training specialists skilled in delivering hands-on, practical training. Participants would also deliver training continuously throughout the project and provide more interactive components, incorporating technology systems such as web-based and e-learning approaches. 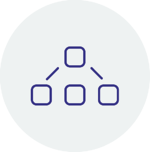 Tailor content to individual roles: Tailoring content allows recipients of the training to feel more connected to the change and more aligned with the methodology. 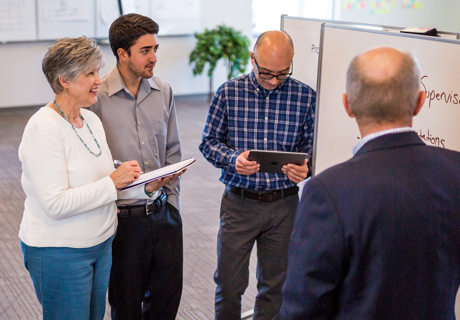 With customized training, individuals also build a greater awareness of their unique transitions and challenges and are more able to address issues when they arise. Plan for training earlier: Allow for more time to assess current knowledge and training requirements. Participants reported that they would also plan training activities earlier in the project lifecycle and would give careful consideration to the most appropriate time for delivery of training—specific to each group. For example, to maximize retention, employees should receive training as close to implementation as possible, minimizing the time between learning new skills and applying these skills. 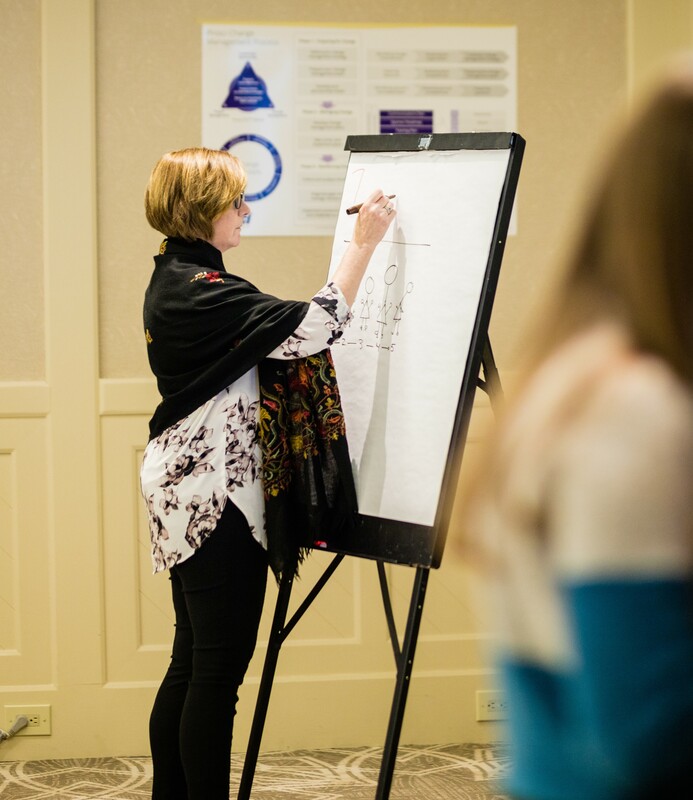 "Prosci’s methodology and role-based trainings are uniquely built to work just as well in the academic side of campus as they do on the administration side. But what really set Prosci apart was the Prosci team’s willingness to help us modify their programs to accommodate our distinct needs." If the data supports the need for and benefits of change management training, what should you expect from the training? Classic answer: It depends. Each training company, organization and professional association has its own standards and philosophy. At Prosci, ours is simple: We provide a full-immersion, hands-on approach that enables adults to learn and apply practical tools, best practices and models that they can immediately implement. Our philosophy is directly aligned with what participants of the Best Practices in Change Management study reported. Below we share with you the top five topics covered during training (information provided by participants of the 2016 edition of Best Practices in Change Management). Change management plans: Whether already in place or being created, the focus of these plans was most often on communications, training and resistance management. The Prosci ADKAR Model: Each group received training in the Prosci ADKAR Model to understand how each element of the model applied to their roles in change. Methodology: Of all methodologies, the Prosci change management process was the most cited. Tools: This included tools for evaluating change prior to implementation, such as readiness assessments, impact assessments, and other stakeholder analysis tools. Change management principles: Training included an overview of what change management is, why it is applied, the benefits of using a change management methodology, and principles concerning the psychology of change. While many training vehicles are available—from informal information sharing to web-based training—there really is no substitute to learning directly from a subject matter expert, adept in adult learning methods, especially hands-on, practical applications. Formal classroom trainings are beneficial for all levels, and by allocating enough time to assess knowledge gaps and training requirements, you can better provide the appropriate training for all roles within your organization. Customized role-specific trainings are recommended for project teams, executives, managers, supervisors and employees. But remember, attempts to build knowledge are only effective when the individuals want to engage in the change process and are seeking knowledge to help them be successful. Begin by building awareness and creating desire. After this, individuals will naturally seek the knowledge they require and engage in the training provided. To gain knowledge of change management theories, tools and application, we recommend change management certification. We welcome you to join us in one of our upcoming Change Management Certification Programs. There we will provide you with a clear, formalized and proven methodology for effective change management. 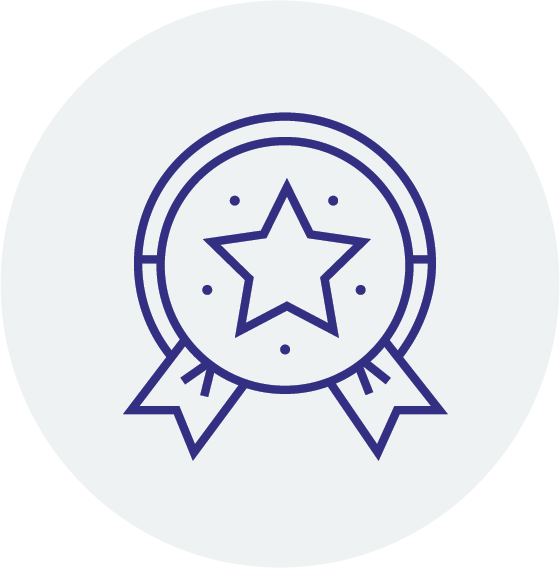 As a bonus, upon completion you can promote yourself as a qualified Prosci Certified Change Practitioner with this snazzy badge! Find the next certification program in your region!